Peoples Associates provided the structural design for Nora Suppes Hall, a new two-story, 11,000 square foot building, housing a seminar room, 25 offices, open office area, restrooms, and core spaces. The new building features an exterior open-air corridor, sloped roof, roof skylights, elevator, and two sets of stairs. 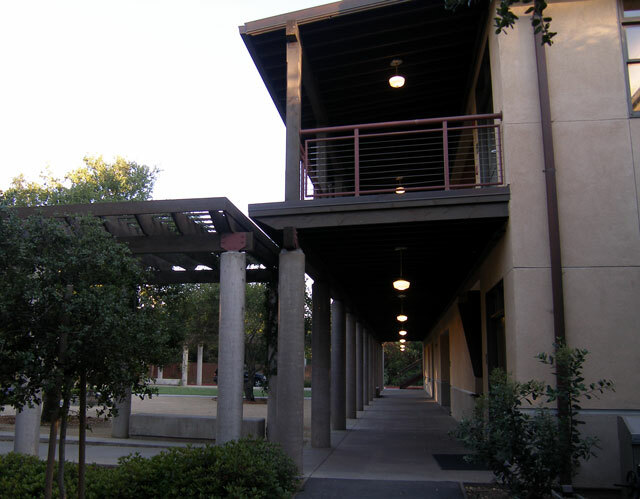 The building structure includes manufactured wood roof trusses, plywood shearwalls, wood floor joists, and concrete slab on grade with spread footings. 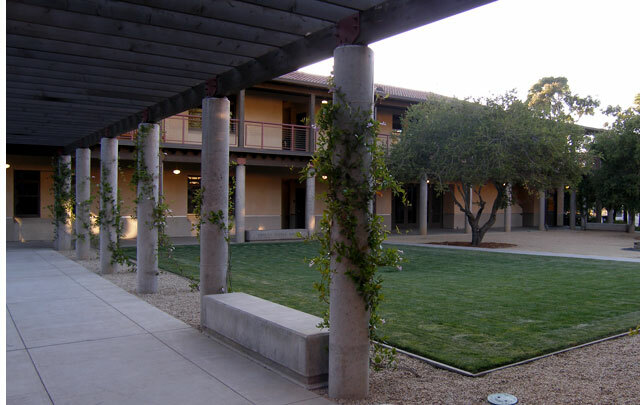 The project included several hundred feet of trellis-covered walkways and pergola structures constructed about the perimeter of the adjacent courtyard. 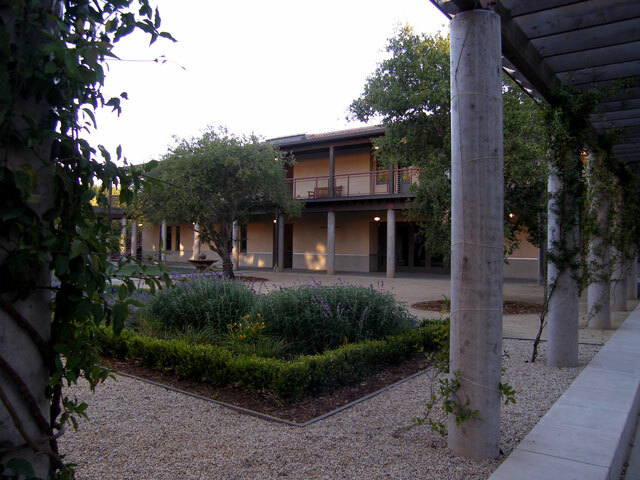 These walkways are 10-foot wide open structures, and their exposed nature made them especially sensitive to Architectural detailing.